This riveting war story introduces us to beautiful Kate Zweig, the English widow of a German surgeon, and Claus Murphy, an exiled American with German roots—two lovers with complicated loyalties. In 1918, Kate and her husband, Horst, are taken for spies by Russian soldiers and forced to flee their field hospital on the eastern front, barely escaping with their lives. Years later, in London during the Nazis’ V-1 reign of terror, Claus spends his days making propaganda films and his nights as a British spy, worn down by the war and his own many secrets. When Claus meets the intriguing Kate, he finds himself powerfully drawn to her—even after evidence surfaces that she might not be exactly who she seems. As the war hurtles to a violent end, Claus must decide where his own loyalties lie, whether he can make a difference in the war—and what might be gained by taking a leap of faith with Kate. 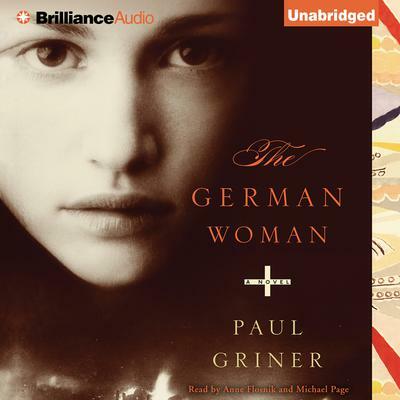 Echoing Pat Barker’s spare power and the sweep of Sebastian Faulks’s historical sagas, The German Woman takes us inside the world wars that defined the twentieth century and the hidden histories of two unforgettable characters whose love story will haunt listeners’ hearts and minds.